With all the flair of a pro athlete, this sports shoe is from Aaron Basha's Sports collection. 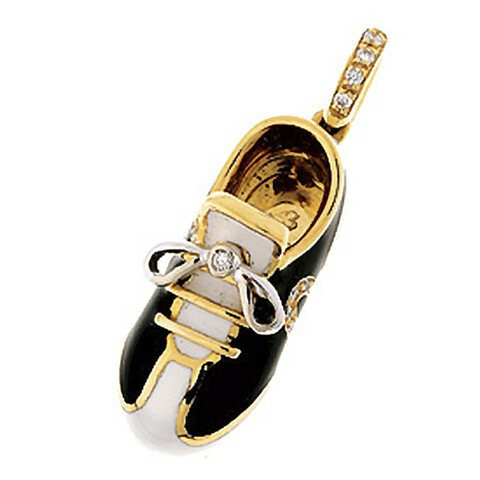 This sports shoe is crafted in 18kt yellow gold with black and white enamel with a circle emblem on the side, and bright white diamonds decorate the bail where the charm connects to a chain and on the shoe tie. This is a great Aaron Basha charm to represent your favorite sport or an athletic child, and it will elegantly drape from any charm bracelet or necklace.